I adore beautiful and creative planter ideas. I've got quite the collection for you today. 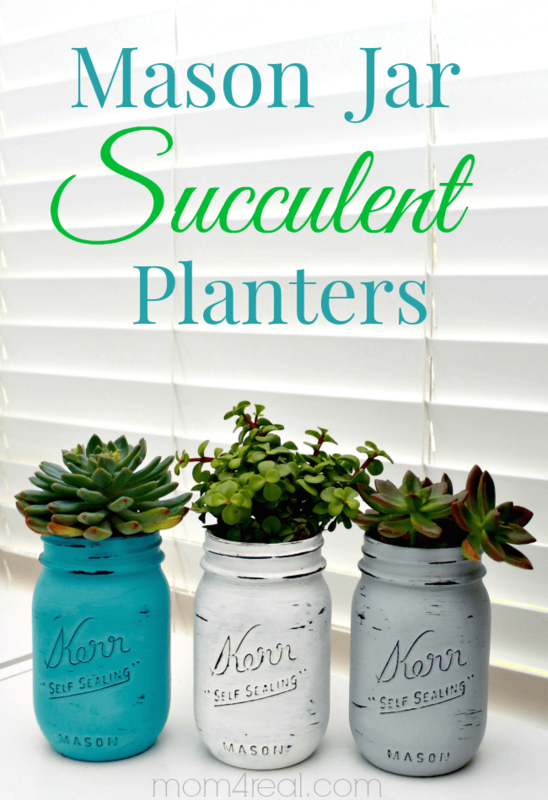 I've gathered Over 25 Fabulous Planter Ideas for you in one convenient space. There is something for everyone from the vintage collector to the avid DYIer. If you see something you like, please be kind and pin from the original source! This is such a cool idea! DIY concrete planters from City Suburb Sanity. 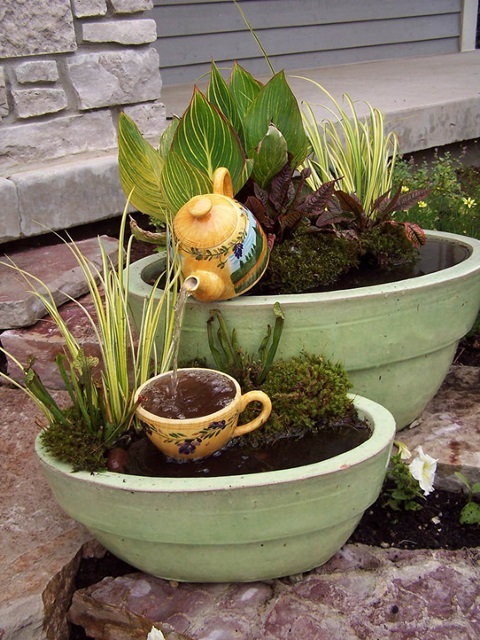 This container garden idea found over at Town and Country Living has an added extra surprise with a tea-pot water feature! So loving this for the cottage garden. 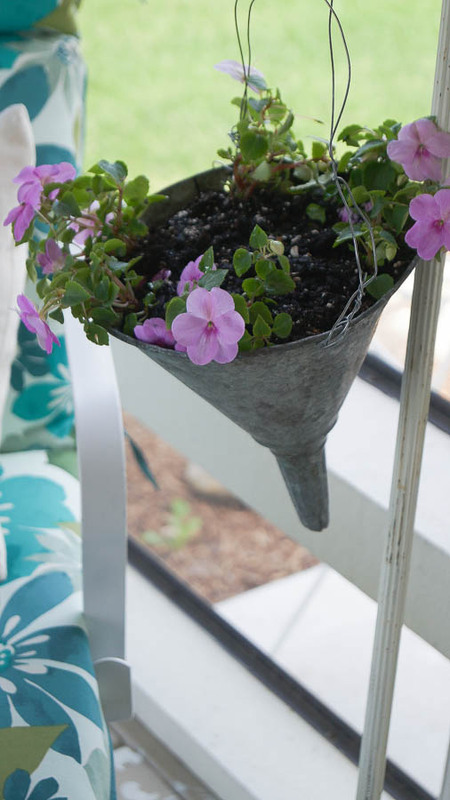 With a little screen, you can turn an old funnel into a fabulous planter! All the details over at White Lace Cottage. 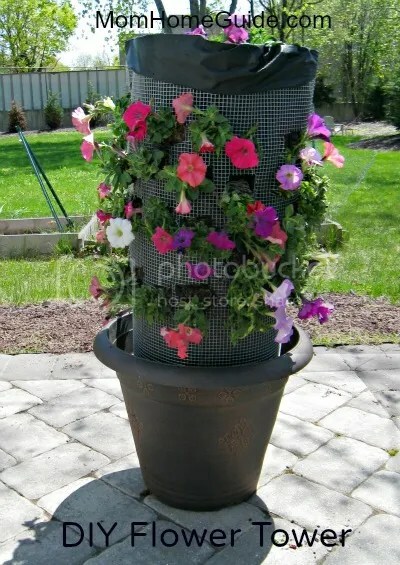 Have an old chair, spruce it up and insert a purchased planter for an instant plant stand from Yesterday on Tuesday. 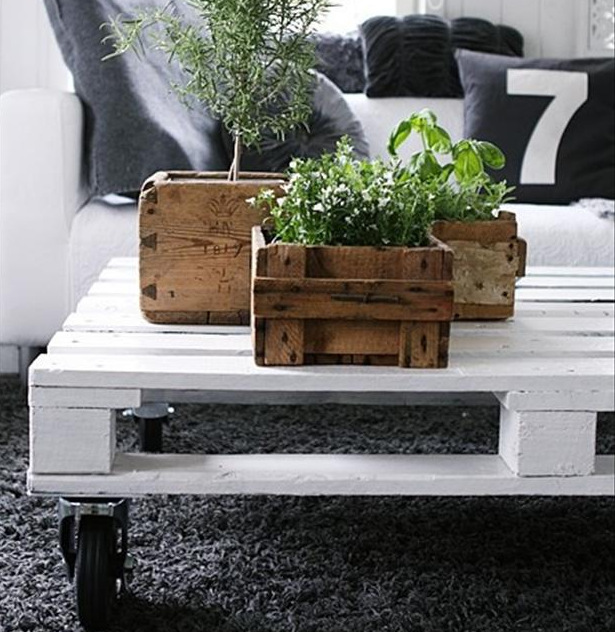 Kelly from Live, Laugh, Rowe shares her simple tutorial for making these pallet planters. How amazing are these paver planter boxes from Live, Laugh, Rowe! The mix of concrete and wood is pretty cool! 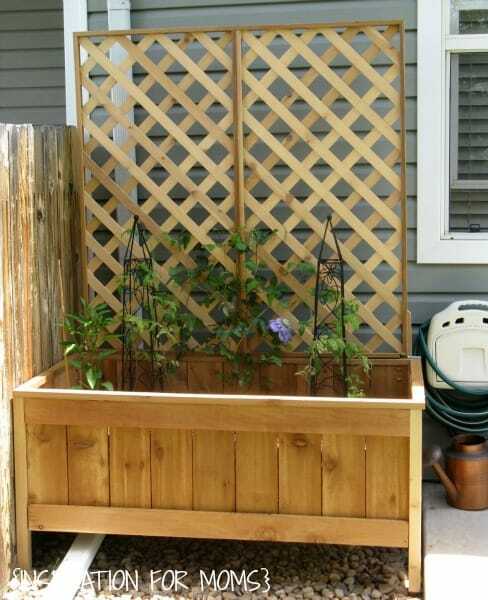 Inspiration For Moms has the tutorial for making this trellis planter box. Got a mixer lying around that doesn't work? Replace the bowl for a garden pot and you have quite the conversation piece form Kirb Appeal. 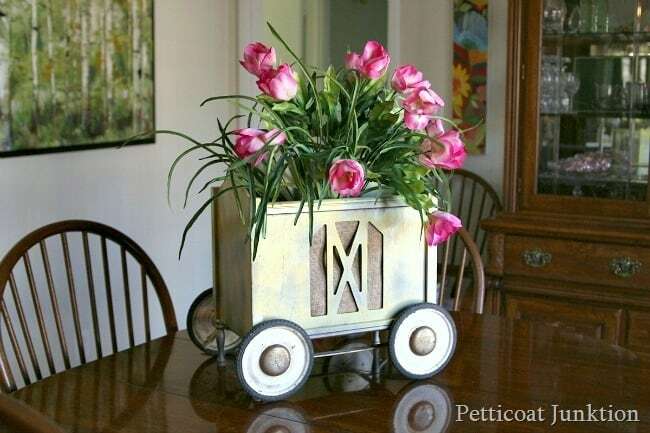 How about a faux zinc planter from Where The Smiles Have Been. 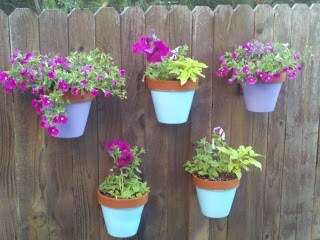 I didn't know you could buy these cool hooks to hang pots on a fence! Check them out at Inspiration For Moms! I am seriously going to have to try this faux copper technique from Where Smiles Have Been. It looks so real and high-end! I am so ready to go thrifting for an old picnic basket! Debbie from Confessions of a Plate Addict created this vintage look planter with a simple paint technique. This used to be an old sewing cabinet. This is fabulous from One More Time Events! My kids are teenagers now, and I saved their little rain boots for something like this. How precious from Concord Cottage. 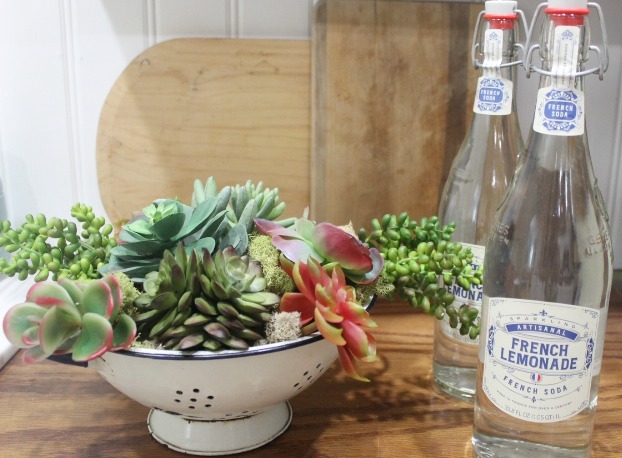 A vintage colander makes an excellent and unexpected garden for succulents. Drainage built-in from The Everyday Home. Aren't these pretty from Homework. The pots are painted with added medallions. 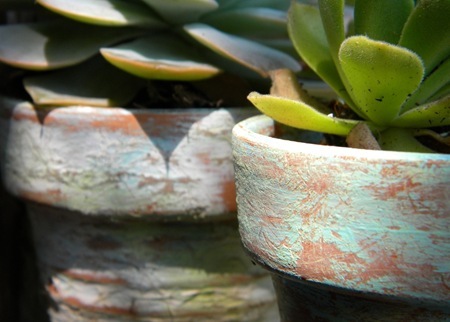 Clay pots are one of the most cost-effective ways to created a faux finish! This finish is from Homework. Seriously! This was made from an inexpensive wire shelving unit and finished to look like those expensive garden planters!! 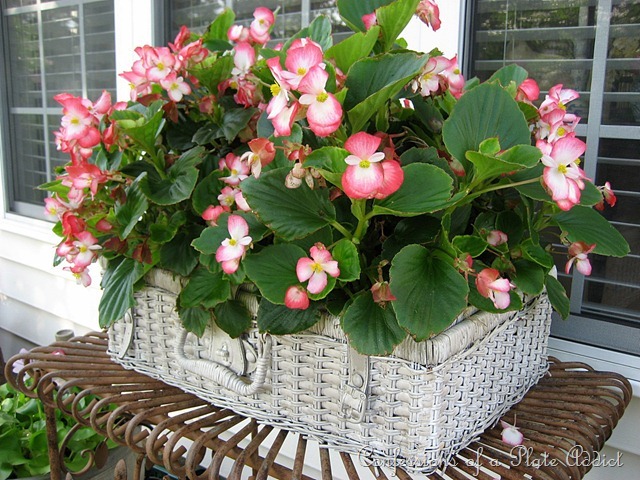 Check it out at Garden Matters. 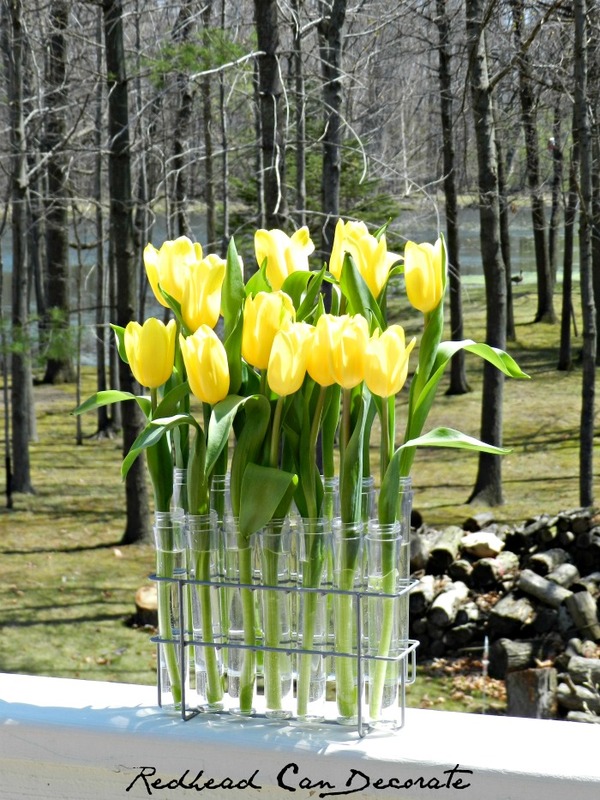 Can you imagine how gorgeous this flower tower from Mom Home Guide will be when grown in! These resin pots were ready for the trash until I gave them a sanding and chalk paint finish. One year later, they still look great. These are from me, Our Southern Home. Mason Jar Succulent Planters from Mom 4 Real. 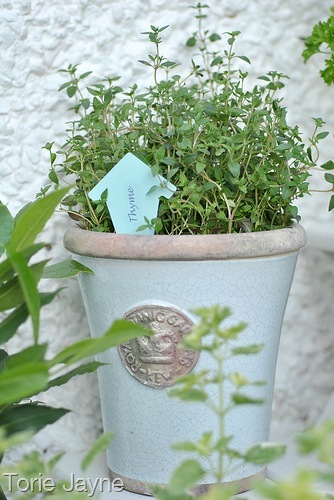 These pots on my blog Our Southern Home started as plain clay pots. A fast drying weathered finish really gives that farmhouse look for the garden. DIY paint finish for a concrete planter by Our Southern Home. You won't believe how bad they looked before! 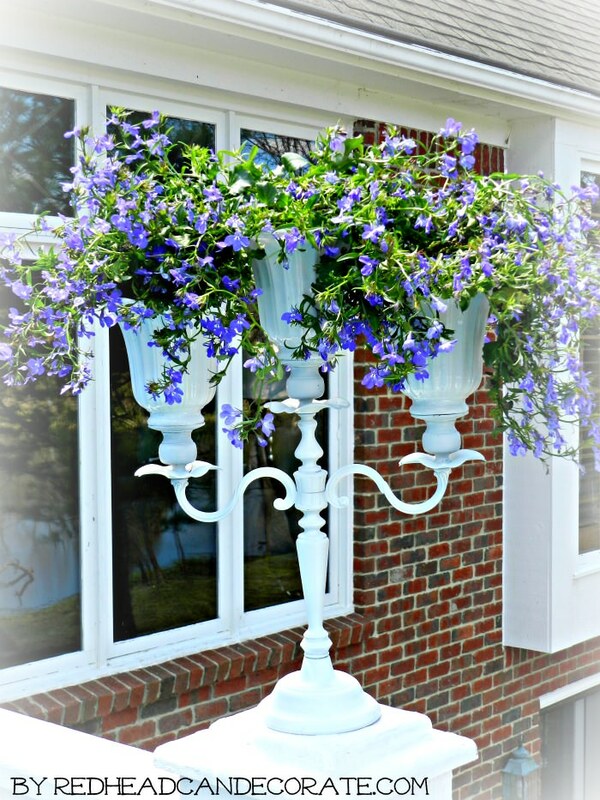 Thanks Christy for featuring some of my garden planters! Such a wonderful roundup. Pinning!